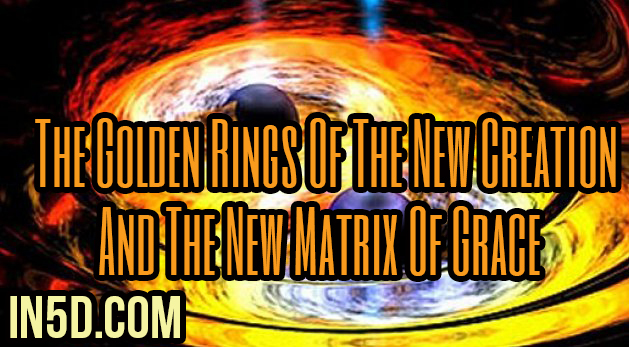 The merge of the Golden fire rings of The new creation. One late evening, laying in bed prepared to go to sleep, I had a very grand experience. This happened about a month ago, just after the new moon in October. I saw these two huge golden fire rings coming out of my higher heart, like water bubble rings moving up to the surface. The week prior to this, I had a vision and a personal experience with a golden egg, that was planet and opened. The golden Egg carries lots of meanings… It is/was the opening and birth of the new golden energy and returning of the level of Consciousness and new existence that is available for us now. This golden energy has been here before, but it was a very long time ago, before we fell from Grace. I call this new energy Grace Consciousness and is the new Matrix blueprint for the New Earth. This golden energy has other names and is written about in ancient times. It has now returned but as a 2.0, more stronger, vibrant and “refreshed”, so to speak. I have written about the Golden Egg and the golden energy. You can read more about it here. I am just writing from my own experiences, knowing and personal truth of things. Later in the evening, laying in my bed, I saw and felt beams or light blue thin laser streams coming down on me, tuning up my body and preparing me for something. It was/felt like laser acupuncture, is the only way I could describe it. It worked on me very fast and yet in smooth detailed manner. Very intelligent. It came from the ship. Other sensations and knowings came directly after. I just knew and felt that a huge shift was done. We had made it and the last veil was open, Everything was done/finished. The crossroad of no return was here and I just knew all the living was free and had crossed the final line. 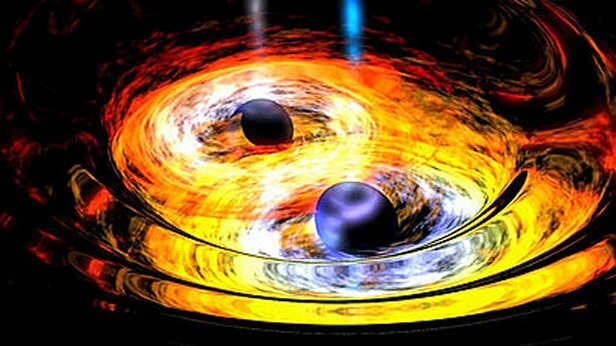 No more negotiations with different groups of duality…it was done. The “green light” from source of sources was given. In this moment I was part of this whole “green light thing”. I had made sure that no one was allowed to EVER be harmed again, unless there was something you yourself was creating for your own growth. But no more can an outside force or group of any kind hurt another living thing. That capture of our matrix was done. This was all a grand stepping stone for all creation, in all universes and mother universes. Then these two huge golden rings came out of my heart and were floating upwards. They started to surround all of creation, like a fire force field of change… I suddenly realized that one fire ring came from above and one came from my end, but they were both created through my heart. I then realized, that a piece of my soul-essence was already on the other side of the new created veil and were sending a ring towards me. So I was sending a ring from the “New” and a ring from the “Old”. As above, so below. I knew both the rings was sealing the deal. Merged the old with the new and made something completely different. A completely new creation we never have seen and experienced before, but I was already in that new creation, as I am part of its transformation, I just had to be. It is very hard to explain. To me, this is simple….but that is easy for me to say being in it. LOL !! Both the rings was surrounding the whole transformation and was meeting in the middle. I saw it as the golden upright infinity symbol, both the rings, was coming together like the Olympic rings. So I feel the reborn/updated/transformed infinity symbol is not an 8-symbol anymore. It looks like this, but intertwined together. The huge rings was golden and on fire. In the moment, I felt it was like to rings of a ceremonial marriage. A sacred union, dancing and transforming into one, into one new vibration and energy. The emotional spektrums was incredible and very beautiful. It was so grande, it took me a few days to truly understand and integrate the whole process. But I know at that very moment, what had happened. On a higher energetic level, everything and I mean everything, has already shifted/transformed/being birthed into the New. I’m not talking about a 5th dimensional new earth or another level or shifting of timelines. This is the BIG ONE, the very final stage and I was part of the process. To find visuals and words to describe something so “way out there” is hard. A lot of personal and unique things happened as well and things after that, but that is not relevant for the collective and for the greater understanding of it all. What I have tried to explain here is the bigger picture and the grand final of our creation. That is all. It has taken me a month to put this in writing and up until this week I didn’t even know if I ever would talk about it at all, as it is very special and can easily be misunderstood. I also feel that others have experienced their own unique version of this change. We all see it through our own soul-essence. What we create and work on, on a grander scale. We all have a part to play. That is how I see it. It is like a merging collective of love, in one big source-heart chamber, working together in unity and harmony through the greater Eye of EVERYTHING. The two rings of fire is the new golden energy of Grace and some other things I don’t really know about yet. It is part of the new and it is not time to know about that now. There are completely new elements in this new golden energy and the elements that are part of our reality has changed and has completely new templates, just like we do. That was shown to me in late summer and since the 11:11 – gateway (2017) we have new light-body blueprints. That is also part of the transformation of our Merkaba and energy field. We have started from a clean slate, sort of… LOL !! I hope I have made myself understood on some level for you. This article carries light code activations, reflections for your own greater self, a heart-opening and is here to be a support for you. I am here for you if you have questions and want some guidance and inspiration. I wish you all I wonderful day and week. Take care and be well! About the author: For divine service, guidance & healing, book a session: graceconsciousness.com/divine-services. For donation & support, please go to: paypal.me/truelygaia. Subscribe to updates, news and my articles: graceconsciousness.com/contact (scroll down to the end of the page). Thank you from the bottom of my heart, for all the support and connections. I am truly grateful. I love you dearly. Always with gratitude and love!